In a Facebook conversation today that was sparked off by Carol Dunster mentioning the forthcoming edition of Warhammer Fantasy Roleplay I happened to mention that in about 1999 (when I was about 19 years old) I’d written an adventure (under the somewhat pretentious pseudonym of Dragonfire – hey I was young) titled “The Phantom of Miragliano” loosely based on the Phantom of the Opera. 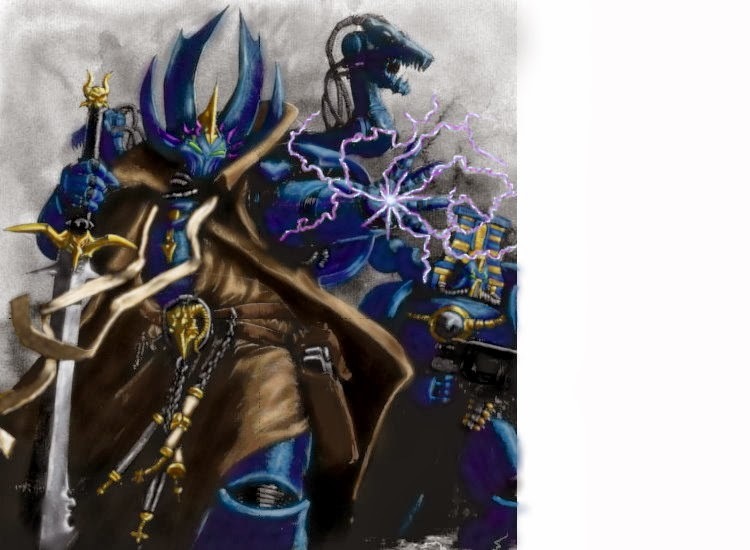 Recently Conny Delshagen posted on the Google+ Traveller community about whether anyone had successfully used the World Tamer’s Handbook colonisation rules for Traveller: the New Era; although I don’t really play Traveller at the moment i’m always looking for science-fiction ideas that can be incorporated into my FATE-based WH40K Rogue Trader campaign ‘The House of Black’ which (as of the time of writing) is still running on a monthly basis. Reading the blurb associated with the World Tamer’s Handbook on RpgGeek.com it seemed to focus around star system generation and rules for colonisation; although i’m fairly happy with the Diaspora adapted rules for system generation that I have, setting up colonies and such like was not something that I had covered in much detail. I had previously looked briefly at the colony system presented in Fantasy Flight Games ‘Stars of Iniquity’ supplement but, whilst the system seemed very comprehesive, it was extremely detail orientated and (I believed) too complex to be a worthwhile addition to my RT game; I had switched to FATE to reduce the clunkiness of the rules, so adding in a massively detailed sub-system seemed counter productive. I had already used the Fractal to a certain extent when defining my rules for space combat (see http://wh40krpg.blogspot.co.uk/2013/06/testing-proposed-narrative-space-combat.html for my most recent post regarding narrative space combat) with the players ship treated as a character (having skills, aspects, stunts, stress tracks and consequences). What sort of stats would a space colony have? Taking a tip from my work on space ships I decided that colonies would have five Aspects in order to represent what the colony specialised in an potentially one or two Stunts, the colony would also receive 2 stress boxes and 3 consequences boxes (with the standard 2, 4 and 6 values) in the same way as a character (although additional Stunts could be taken to increase the number of stress boxes). I envisioned that the High Concept Aspect would represent the dominant form of government on the colony and that the Trouble Aspect would represent some sort of challenge or impending danger the colony. What benefits would players get from visiting a space colony? In order to make it worthwhile instituting rules for space colonies (although these rules could also be used for space stations and other sorts of bases) it would be necessary to provide some story reason for the player characters to visit them; the most obvious reason for this is to purchase equipment or make repairs to ships/vehicles, etc. Using the simple model above it would be simplicity itself to make the Aspects of the station affect what objects the PCs can get hold of, they would be able to invoke the colony’s Aspects as they would any other Aspect to improve Resources rolls along with any other actions as appropriate whilst on the space station; for example, if the players are getting a ship repaired at an orbital facility with the Aspect ‘Adeptus Mechanicus workshop’ then they could invoke this to get a +2 to the repair roll. However the reverse is also true that Aspects could be invoked against the players either by the GM or other players; for example if a character tries to get hold of a stub gun in a colony with the Aspect ‘Primitive’ then the GM could invoke this to apply a -2 penalty to their Resources roll. In any session where a particular colony is featured the GM should roll 4DF and note the resultant number (Aspects may be invoked on this roll as normal), if the result is a minus figure then the colony has suffered some sort of stress and the negative shift should be marked on the stress boxes/consequence tracker as usual (with any consequences reflecting the slow deterioration of the colony, for example: civil unrest). If the result is a positive then the colony uses the positive shift to first recover from any stress or consequences it has sustained, if there is any positive shift left after this then add an additional stress box to the colony’s total to represent the colony growing. One of the great things about Rogue Trader is that the player characters are (unlike the majority of humans in the WH40K universe) powerful people with spaceships at their disposal and commanding vast resources; this means that feasibly the player characters may be instrumental in setting up new colonies and bases, any system that I was going to use would need to represent this possibility. It is my current idea that, when initially set up a colony has only a single Aspect (which should reflect the colony’s initial challenges, no stunts, a single stress box and no consequences boxes); each session after a colony has set up until it has reached the standard beginning colony statistics it should make a maintenance roll (as detailed above), when the colony reaches a total of 2 stress boxes due to growth then it gains the consequence tracker and additional Aspects/Stunts as per a standard beginning colony. These are just a few ideas at the moment and will no doubt see further development, however, i’d be interested in people’s thoughts/comments. The old link will still work until I get round to re-organising my Dropbox account at which point it will no longer function. Well it’s taken a fair few hours but i’ve got my FATE Warhammer 40,000 Hack to a completed state where i’m pretty much happy with it; there are a few bits and pieces that could be fiddled with and I expect that i’ll make minor tweaks and changes to it, but it’s pretty much done. At the moment in-between re-organising my notes for my FATE powered Rogue Trader campaign i’ve also, on and off, been working on assembling the collection of rules and hacks that I use into something vaguely resembling an organised document so that I can have all of the information in one place and make it available to other people. I plan to add to the hack in the future as I go along, eventually making it into a useful reference for people who want to play 40K RPGs using the FATE rules system. The current hack is available here.